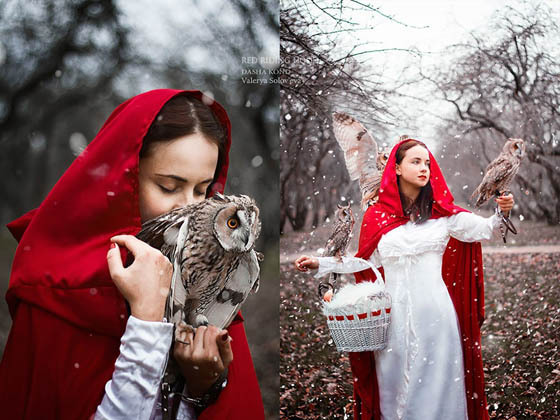 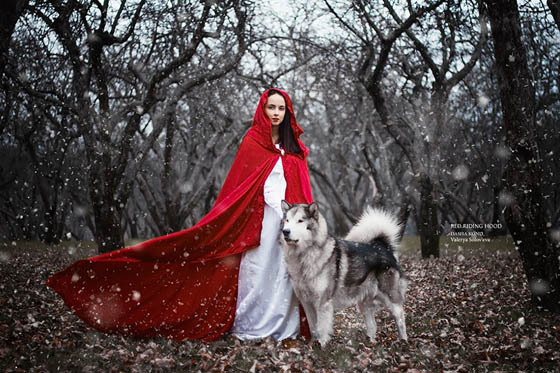 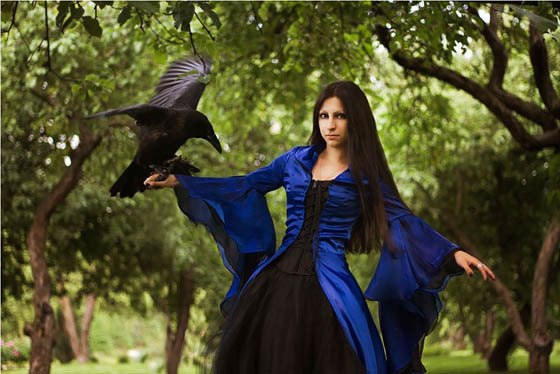 Inspired by the stories of figures like Little Red Riding Hood, Gretel, and Brave’s Merida, Moscow-based photographer Darya Kondratyeva re-created these fairy-tale style portrait of young women and their animal companions. 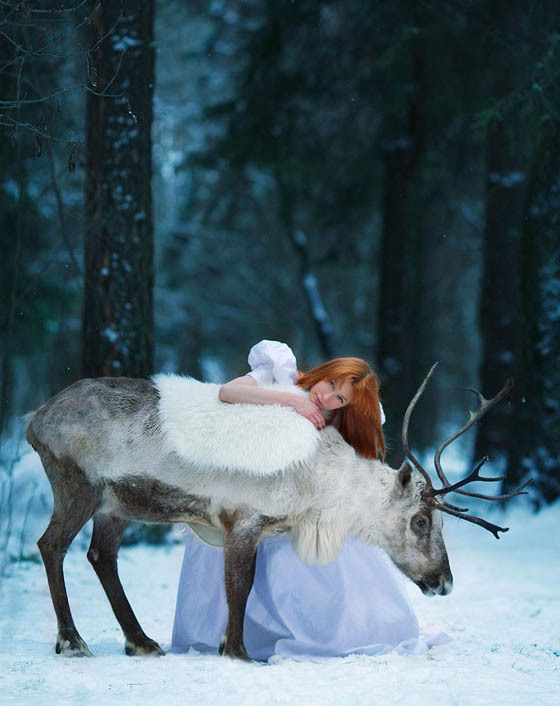 When we say “animal companions”, we are not talking about dogs and cats, but bear, deer, camel, owl and more. 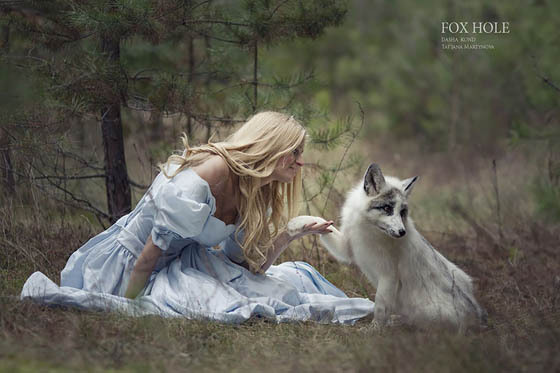 Not sure how she makes those animals so cooperative, but the result is quite stunning – easily bringing viewers into distant, mythical realms.